Dr. Jared Allen is a radiologist with a practice experience of nearly 10 years. He is board certified in diagnostic radiology. 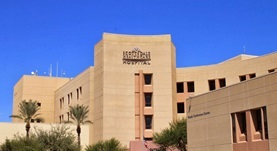 Dr. Allen received his medical degree from the David Geffen School of Medicine at UCLA and completed his residency at the Washington University. A fellowship training program in body imaging followed at Mallinckrodt Institute of Radiology. Over the course of his career, he has contributed to several publications as well. 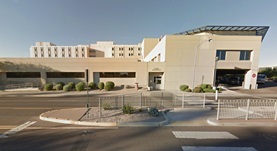 At the time, Dr. Jared Allen is affiliated with HonorHealth Scottsdale Osborn Medical Center and HonorHealth Scottsdale Shea Medical Center in Arizona. Dr. Jared Allen has contributed to 3 publications. In vitro liver tissue model established from transgenic mice: role of HIF-1alpha on hypoxic gene expression. Allen, J.W., Khetani, S.R., Johnson, R.S., Bhatia, S.N. ; Tissue Eng. 2006 Nov. In vitro zonation and toxicity in a hepatocyte bioreactor. Allen, J.W., Khetani, S.R., Bhatia, S.N. ; Toxicol Sci. 2005 Mar. Formation of steady-state oxygen gradients in vitro: application to liver zonation. Allen, J.W., Bhatia, S.N. ; Biotechnol Bioeng. 2003 May 5.